We couldn't have ordered up a more exciting new leading man! 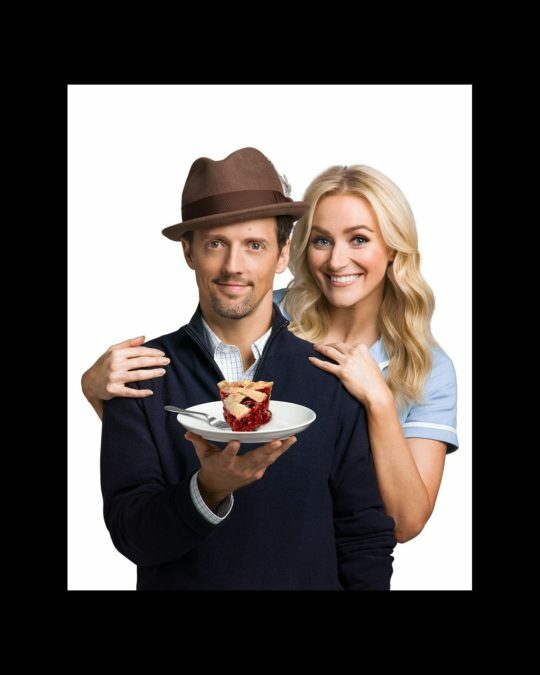 Singer-songwriter Jason Mraz will join leading lady Betsy Wolfe in the company of Broadway's Waitress in the role of Dr. Pomatter beginning on November 3. The two-time Grammy winner will play a limited 10-week engagement in the musical at the Brooks Atkinson Theatre. Mraz is most known for the 2009 chart-topper "I'm Yours." He won a pair of 2010 Grammy Awards for Best Male Pop Vocal Performance for "Make It Mine" and Best Pop Collaboration for "Lucky." Mraz's albums include Waiting for My Rocket to Come, Mr. A–Z, Yes! and Love Is a Four-Letter Word. The sweet-voiced star's TV gigs have included appearances on Sesame Street, Saturday Night Live, Opening Act and Dancing with the Stars. He produced the 2012 documentary film The Big Fix and narrated the 2015 doc Unity. Waitress will mark Mraz's stage-acting debut as well as his first appearance on the Great White Way. Waitress, based on the film of the same name, features a book by Jessie Nelson and a Tony-nominated score by Sara Bareilles. The cast, under the direction of Diane Paulus, is currently led by former Broadway.com vlogger Wolfe as Jenna, Drew Gehling as Dr. Pomatter, Caitlin Houlahan as Dawn, Maia Nkenge Wilson as Becky, Dakin Matthews as Joe, Eric Anderson as Cal, Will Swenson as Earl and Christopher Fitzgerald as Ogie. As previously announced, two-time Tony winner John Cullum will join the cast of Waitress as Joe on October 5. Get a first listen of Mraz's Dr. Pomatter with his and Bareilles' take on "Bad Idea" from Bareilles' album What's Inside: Songs from Waitress.